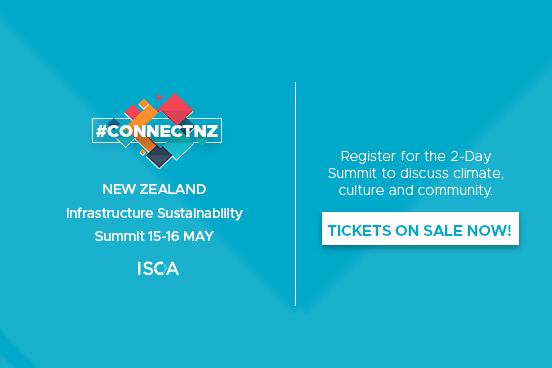 Join ISCA at #ConnectNZ to accelerate discussions on Climate, Culture and Community. Hear keynote presentations from kiwi leaders and panel discussions on climate and culture, learn about the coolest new trends in an innovations and impacts workshop, and tour the award winning City Rail Link Project. Plus there will be a deep dive into how sustainability is being implemented on Australasian Infrastructure Projects. Buy two tickets, get one free! Speakers are being added to the agenda weekly – follow us on LinkedIn to stay tuned.